People who want to have a healthy lifestyle might change their diet or increase the amount of time they spend exercising. Romy Paris helps you extend your health awareness to your skin with a cosmetic formulator called Figure. Don spoke with Ann from Romy Paris at CES 2018. The Romy Paris Figure is a personal cosmetics lab that creates your own healthy, fresh and personalized skin care. You can place it in your bathroom and it connects to the Romy App, which analyzes data relating to your environment and recommends the care that best meets your skins needs in real time. The Romy App can be downloaded for free. 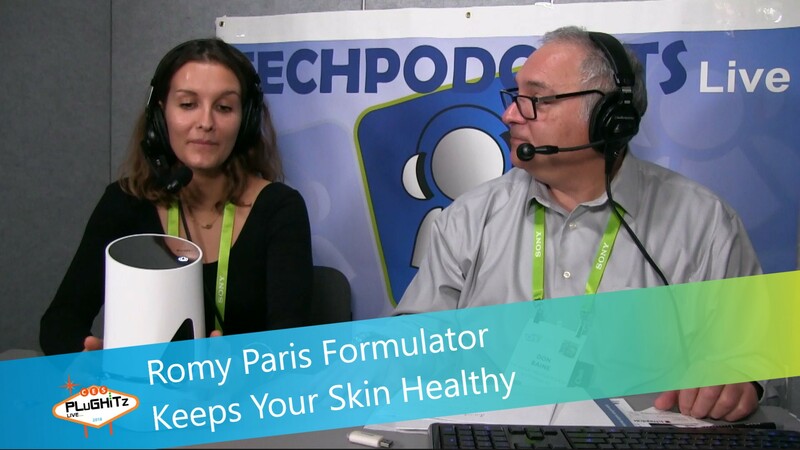 The Romy App identifies the best Romy Paris capsules to add to your formulator for a fresh, tailor-made, healthy skincare product in just a few seconds. The Figure formulator can be used by women or men. Figure is priced at €890. It comes with primary face care, washing solution, and each of the ten active ingredients. Each package of capsules costs between €12 and €15 and includes ten capsules.